Recently, I built an energy harvesting circuit based on an ultra low voltage DC/DC step up converter chip (LTC3108) from Linear Technology. 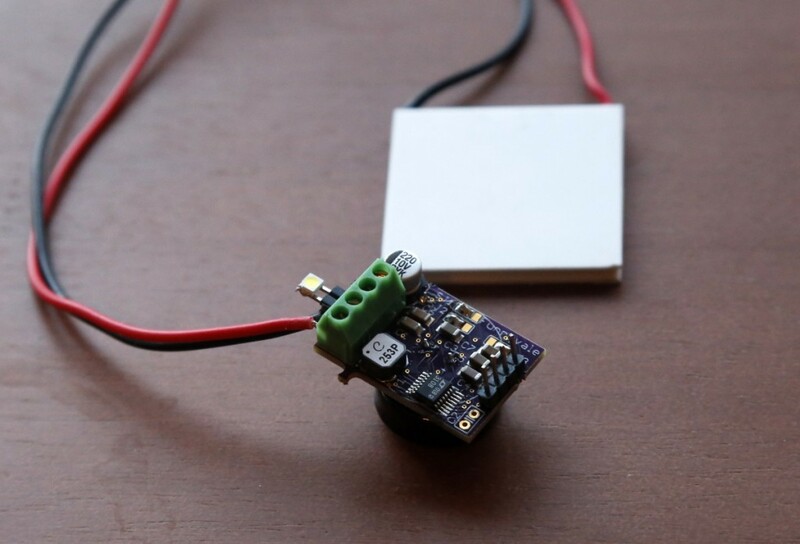 With a 1:100 coil transformer (CoilCraft LPR6235), it converts the tiny voltage generated from Peltier thermo-electric generator into high enough level to drive small circuits. In the following video, I demonstrated that body heat is enough to power a LED. When there is a temperature difference between the two sides of the Peltier module, electricity is generated. 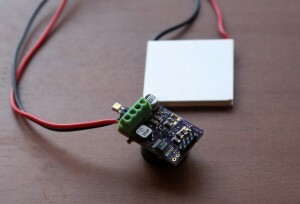 A 5.5V 1F supercapacitor is used as energy storage. Initially, the super capacitor was fully discharged. As the energy harvesting circuit stores the electricity generated from body heat, the voltage across the capacitor continues to rise. When it reaches the threshold voltage, the LED turns on. When my palm moves away, the Peltier module stops generating electricity. The LED continues to turn on until the energy stored in the super capacitor is fully depleted. Other than super capacitors, LTC3108 could trickle charge rechargeable batteries. In addition, other energy sources like, small solar cells (< 0.5V), piezoelectric generators and small motors could be used. There are 4 different output voltage levels that could be selected: 2.35V, 3.3V, 4.1V and 5.0V. It is flexible enough to drive small micro controllers (like Arduino, Teensy, etc.) and sensors.